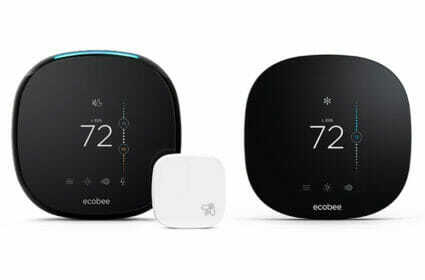 The ecobee4 and ecobee3 lite are highly recommended Wi-Fi smart thermostats. They are relatively easy to set up and will start saving you money on your energy bills right away. Both units work with popular voice assistants and the ecobee4 include built-in Amazon Alexa. The Nest Thermostats (3rd Gen and E) are great Wi-Fi thermostats that are easy to install and use, plus they are aesthetically appealing. Most importantly, they will save you money on your utility bills. The Nests are a great option if you don't have a common wire. The Honeywell Round Smart Thermostat (Second Generation) is a great option for keeping your home comfortable. The T5+ Smart Thermostat is also a great money-saving option. Both thermostats are easy to setup and will save you money on your utility bills. They are one of the few thermostats that work with Apple HomeKit. The Stelpro Maestro smart thermostats are a great money-saving addition to line voltage heating systems like electric baseboard heaters. This review covers both the Controller-Thermostat as well as the Thermostat. Now, you can have a smart thermostat even if you have electric baseboard heat. We highly recommend the Lutron Caséta Wireless light switches due to their reliability and ease of use. Smart switches allow you to control them like normal switches, through an app, or with voice control. Lutron has been making light switches for close to 50 years and they serve the residential and commercial markets.